UK producer Daniel Boyle lovingly recreated the original set up of Black Ark studios by collecting all the original equipment used by Lee Perry back in the day, and rebuilding Black Ark in his own London studio. Hearing of this, Lee Scratch Perry couldn’t resist a visit to London, and the resulting sessions that reunited The Upsetter with his original recording set up was the blueprint for this brand new album project. 12 new songs, plus dub versions – many with iconic Lee Perry vocals too! 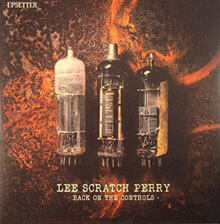 The first modern Lee Perry Production to reach the world on the Upsetter Label in many years.